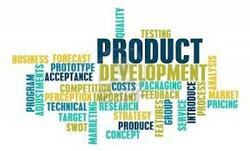 Product development can be an extremely challenging and time-consuming task. In today’s dynamic and ever-changing technology world, Product Engineering and Development requires the right skill sets, the right marketing strategies and the ideal technological specialization aspects. Classic Informatics specializes in end-to-end product development and engineering services for offshore Product Development. We engage with our customers at various stages of product development including conceptualization, prototyping, and development and testing. We also help customers maintain and enhance the product feature set. Our team of Product Development Consultants and Techies is capable of building products from the scratch or even taking up product development anywhere from the middle and turning it around completely. We, as a Product Development Company, expertise in developing Software as a Service (SaaS) Applications, Mobile Apps, Client Server applications, Web 2.0 Applications and desktop applications. Our teams are experienced with open source technologies, Microsoft technologies and mobile platforms like iOS, Android, BlackBerry and Windows Mobile. We also assist customers in choosing right technologies and platforms. Our Product Development Consultants and teams are not only equipped with the right technology and industry experience but they also understand the dynamics of the market. We are flexible about the work engagement and development methodologies. We specialize in agile development, waterfall and spiral models. Tech Madhyam is a global web and mobile apps development agency, offering technology solutions to enterprises, digital agencies and start-ups. We began our successful journey in 2002, and since inception we have gained the confidence of our clients by offering efficiency, quality and reliability in all offshore jobs. We have customers in over 30 countries, and offices in India and United Kingdom. We believe in endless possibilities. Our highly trained workforce is adept at meeting challenging requirements promptly and professionally. We guarantee the best of our services to our clients through our goal-oriented and agile approach. We grow in a culture of continual improvement and are constantly learning and exploring new avenues. Equipped with up-to-date technologies and skills, we boast of distinction in our work.